Dealing most of the time with popular culture on these pages, I hardly ever wrote about computer video games. Back in the days I used to play a lot of them, but recently I have to choose wisely, as the perception of spare time changes when one is not a student any more. I mostly play adventures, strategy games and RPGs. Let’s start with the most memorable and impressive adventure games I have played so far. Driven by exploration and puzzle-solving in which the player slips into the role of one or more characters and therefore mostly single player, they definitely had their peak in the 1990s but became a niche genre by the early 2000s, due to the rise of other technically more advanced genres. In the last few years, though, I could witness an increase of interest in adventure games again. The newer games of the genre are – thanks to their graphics and advanced story-telling – like an interactive film. To the exploration and puzzle solving a third component evolved: decision-making. Certain decisions the player makes can in some games change the whole plot crucially. When talking about adventure games, there is no way to by-pass the Monkey Island series by LucasArts (since 1990). If you say you never have heard about Monkey Island, I simply don’t believe you. The series was a meme-generator, which manifested a lot of moments of the game in our popular cultural memory. 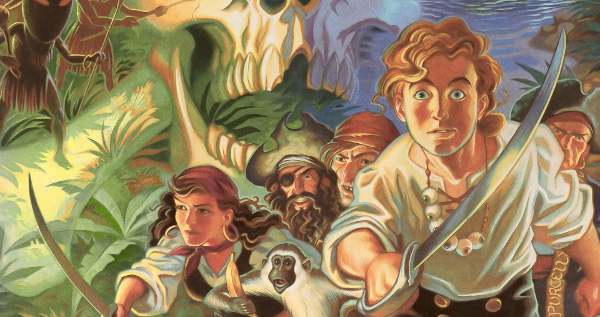 Monkey Island became a cult classic and one of the most successful game series of all time. The player assumes the role of Guybrush Threepwood, a pirate wanna-be. In the first part of the series Guybrush tries to become a pirate, for which he has to pass several tests. By doing so he falls in love with governor Elaine Marley, while attracting bottomless hatred of the evil undead pirate LeChuck, who also has deep feelings for the governess. 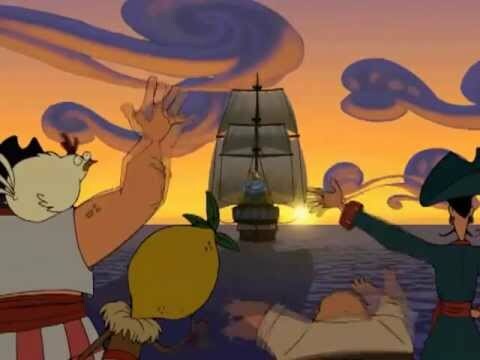 Throughout the series Guybrush kills LeChuck several times (! ), finds (or doesn’t find) treasures and maps, mixes voodoo potions, travels around Caribbean islands and has to save (at least he thinks so) his beloved Elaine (and/or the world). The story is very funny and plays with each and every cliché (and then some). Sometimes Guybrush even breaks through the fourth wall and speaks to the player. My favourites are the first three games of the series, they were ingeniously funny. For the fourth part LucasArts decided to switch to an ugly 3D-style and a flat story. Some years ago a special edition of the first two parts was released, re-vamping the graphics and making the game even time-less-er. When Revolution Softwares released the first part of the Broken Sword series in 1996 it became perhaps the biggest competitor to the LucasArts games. While LucasArts made family-friendly games, Revolution designed adventures for adults. 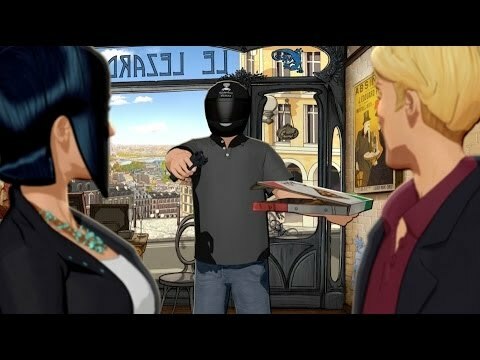 If you like Indiana Jones, conspiracy theories, cheeky language and some action, Broken Sword is the game for you. 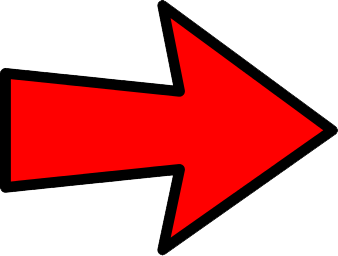 The main protagonist is an American lawyer by the name George Stobbard. While enjoying a coffee at a coffee-house in Paris (he’s sitting outside in the sun), George sees a clown entering the building. Soon after a bomb goes off, people die, George survives, remaining the only witness of the terror attack. Now personally involved George tries to solve the case on his own. On his quest he gets to know the pretty journalist Nicole Collard – a turbulent relationship evolves between them. The first two parts of the series were in 2D, for parts 3 and 4 the producers switched to 3D. Via Kickstarter a fifth part made the race, which brought the series back to 2D comic graphics with an amazingly beautiful design (see screenshot above). 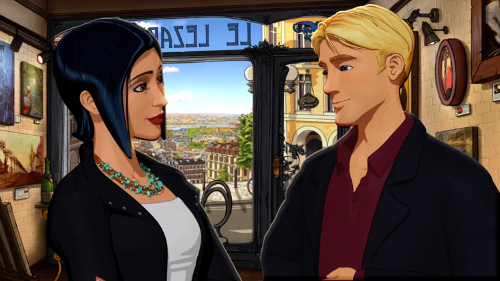 Between the 2nd and 3rd part of Broken Sword there was some plot missing, which inspired fans to create Broken Sword 2.5, which fits perfectly to the other parts. The fan-game is available for free. 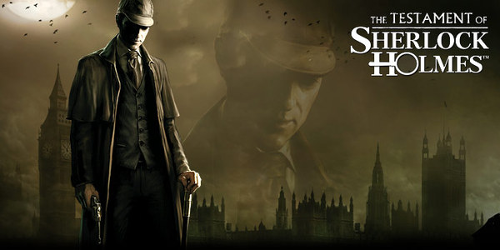 The Irish/Ukrainian company Frogwares seems to have specialised in Sherlock Holmes adventure games. I definitely can understand their fascination for the best detective of all time. When you play them in the right order (as I did) you can follow the evolution of both, design and complexity, of the games. Three of these are mesh-ups, one with HP Lovecraft’s Cthulu series (“The Awakened”), one with the French master-thief Arsène Lupin and one with Jack the Ripper and the murders of Whitechapel. Except for the recent, “Crimes & Punishments”, the games are not based on any of Doyle’s works. Unlike its predecessors, “Crimes & Punishments” is divided into six separate cases. 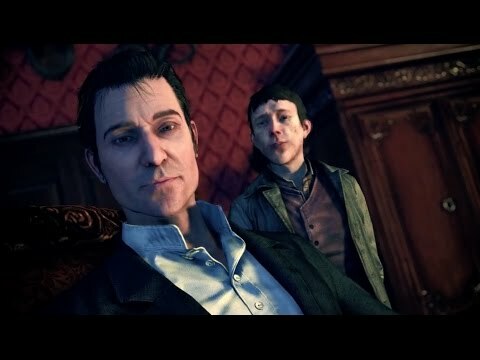 This game’s Holmes is a hybrid of Doyle’s original’s character, Jeremy Brett’s appearance and Steven Moffat’s visuals. I lack proper words to describe how perfect this game is and can only recommend to play this jewel. The Norwegian game designer and author Ragnar Tørnquist is the master-mind behind the Longest Journey games. He is known for his unique and unexpected story-telling. Long story short: There are two parallel dystopian worlds: Stark, where science became the predominant driving force, and Arcadia, where magic became prevalent. Stark looks like our world, but far in the future. The Internet broke down (the so-called Collapse), one company made a new one, the Wire. This company established total surveillance, they know everything about the people. When they also invent a machine, with which people can control their own dreams, everything gets even worse. Two worlds, similar problems. Some can access both worlds. We have three main characters: April Ryan, Zoe Castillo and Kian Alvane, an Azadi renegade. But can they save the world(s)? The Dreamfall series are a big critic of our time and have, therefore, also an educational value. All three games take a long time to build up the story and then everything comes thick and fast. 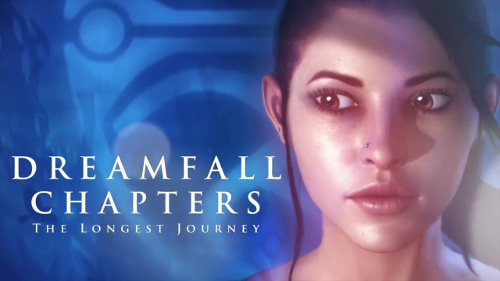 The newest one, Dreamfall Chapters, comes – as the name indicates – in five chapters, from which the fourth one is going to be released within the next weeks. In Dreamfall Chapters decision-making plays a crucial role. Do you like Twin Peaks? I am perhaps the biggest Twin Peaks fan in the world (like many other), but I never even considered that there was something that could come close to the “mother of all series”. 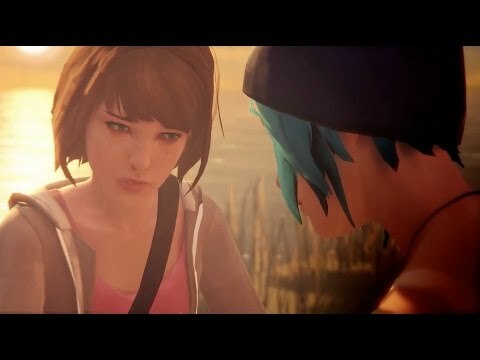 Nothing ever before caught me in its aesthetics and storytelling as much as Life is Strange. 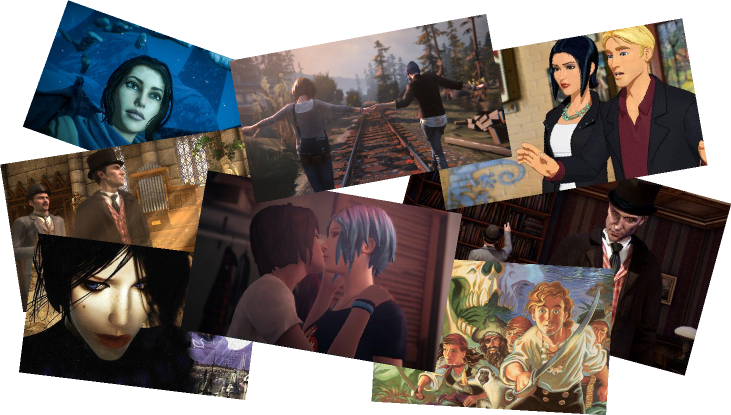 Life is Strange was released in five chapters. It has cliffhangers and twists that make your heart almost stop beating. A missing person. A girl who can turn back time. A great love between two girls. Mysteries. Plenty of crucial and ethical decisions… It is the story of Max, a student of photography in a small town in Oregon. She is an outcast, a little bit creepy to others, but has a good heart. 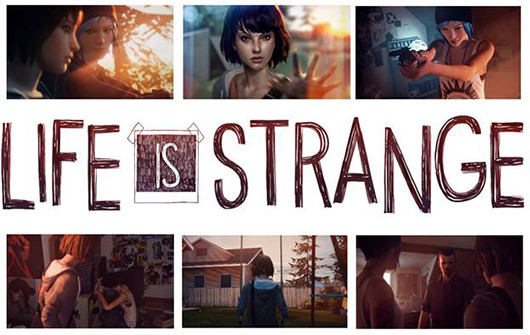 Play Life is Strange and perhaps your life will not be the same any more. It is said that the game designers are planning to make a sequel. I have no idea, how they will continue this story, but I wish them luck. And please don’t ruin the fascinating universe you have created with so much passion!